Plum looks so wise, like a mystical swammie. Ha ha. Swammie. Swami? It's a great word, either way. You have your swami, your yogi, and your fakir. All have something to do with wearing a large turban and being awesome. 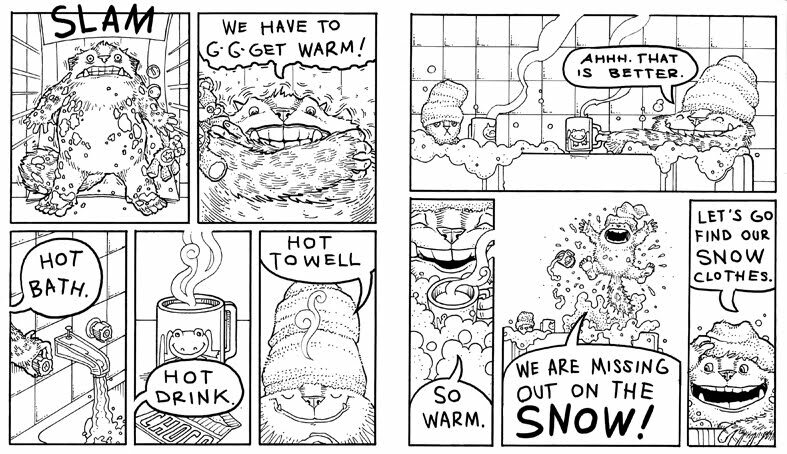 Woops, just noticed a typo--no period on "Hot Towell" the drawings were all carefully done a few weeks back. The lettering I've been doing about five minutes before posting them to the blog. I need to whip the lettering into shape. And *cough* "towel" only has one L.